While this solution works, the information is still visible in the page source code. To truly remove author information from Twenty Sixteen, we have to stop it from being generated in the first place. And CSS cannot help us with this. 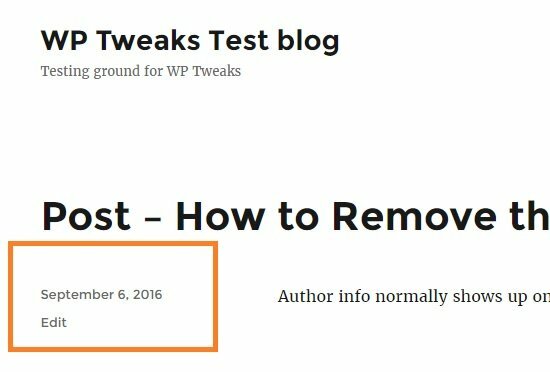 In this tutorial, I’m going to show you how to completely remove all author related information from the page so that it’s not visible even in the page source. Note that you cannot place this code in a custom plugin! Normally, I always recommend pasting PHP code into a custom plugin instead of functions.php. 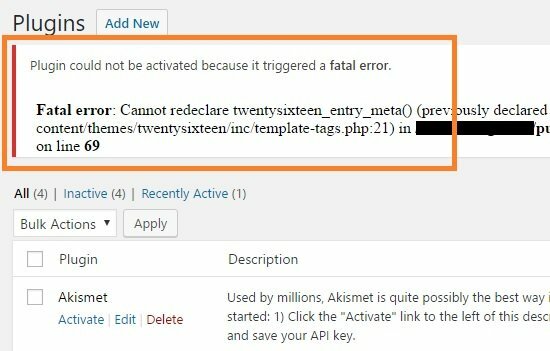 But if you try and paste the above snippet into a plugin, you’ll get a fatal error saying that you cannot redeclare it because it’s already declared. This will only work when pasted into Twenty Sixteen’s functions.php file. You can learn how to do that from my earlier tutorial on pasting code snippets into WordPress. 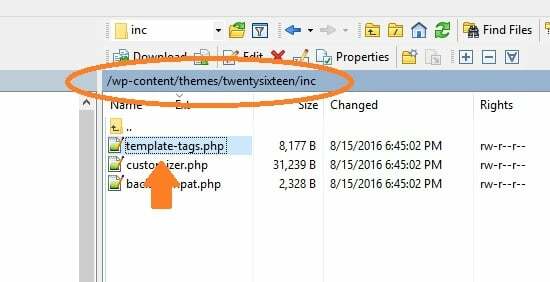 Of course, it’s equally important for you to create a child theme of Twenty Sixteen and modifying the the child’s functions.php instead of the original. 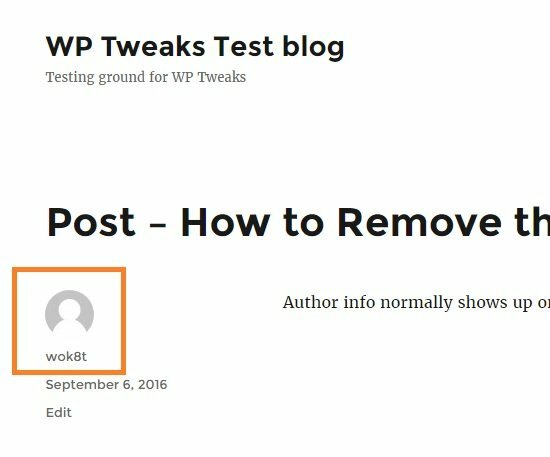 This is because your changes will simply get overridden whenever the WordPress team releases a newer version of the theme. You can check and see that this information has vanished not just from the visible page, but also from the source. This is important if your goal is to post without anyone finding out the name of the author for whatever reason. A simple CSS fix might be easy, but doesn’t solve the main problem. Only overriding the primary function itself will remove author information from Twenty Sixteen. It’s going to be tough to debug from here. You can introduce some “echo” statements into parts of the function to see if the code is being executed or not. Make sure your child theme is activated, and you’ve inserted the code into functions.php of your child them etc etc. Not sure what ‘echo’ statements are and how I should use it. The child theme is activitated that’s for sure and I did put into fuction.php of the child. Try it out and let me know if it works! I see you still have the initial part starting with get(‘Version’) and ending with ?> . That’s not part of the code snippet. Can you replace that entire block with < ?php as suggested earlier, and let me know the results? This is strange. I did have my codes started with <?php ….. . I thought I didnt copy the codes correct to your reply box the first time. But this time I double checked whether I copied all the codes from my php and I did. So parts of the codes got removed after I send reply. It might be easier if I mail it directly to your email address instead of through this reply box. CPMAGZ – A Magazine Theme By Code Themes. Brilliant. Shame on wordpress for making things so hard! Now, what it we want to get rid of that whole section and make the body of the text the same width as the featured image? If this were just HTML it would be a piece of cake but the insanity of this php is impossible!